Recently, along with two of my West Point colleagues, I was invited to spend two days with one of the National Basketball Association's (NBA) most successful franchises. 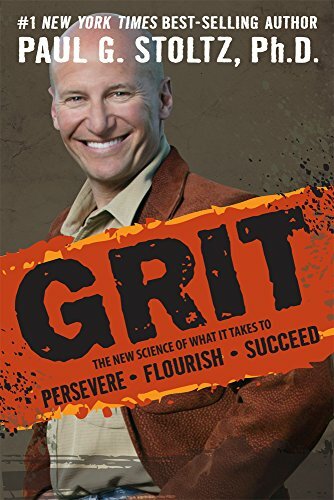 The general manager (GM) and his associates had read about my research on grit and its role in peak performance, and wanted to learn more. Design has become conceptual in that it is no longer perceived merely as a form of giving life to a product, a visuality or an object only. Design has been steadily expanding into the corporate strategy world; organisations are increasingly applying design methods to develop their competitive advantage. Community colleges across the country are concerned about low graduation rates. For the 2010 cohort, the two-year graduation rate was 11.3 percent and the four-year graduation rate was 26.7 percent.1 “Students aren’t finishing what they start,” observed Dr. Lee Ann Nutt, president, Lone Star College– Tomball (LSC–Tomball). To address its low graduation rates, LSC–Tomball decided to take a new approach in 2014. “We began looking at college completion, persistence, retention, and success through a more focused lens,” Nutt explained. Working with the college’s leadership team and faculty, she implemented a “GRIT, Growth, and Greatness” initiative. It was a season of declining enrollment, budgetary challenges, and lower than acceptable performance on key student success indicators. Simultaneously, it was the season of hope, togetherness, and determination. It was an age of knowing that we could be better. It was the age of knowing our students needed more of us. We had to be smarter. We had to work harder. We had to think bigger. Title: Is "Grit" doomed to be the new self-esteem? The Nation's Report Card will be asking questions like this next year; so will the international PISA test. In just a few short weeks, students in California will be taking high-stakes tests. But the tests won't just cover math, reading and science. Students will also be responding to survey statements like "I usually finish what I start," or "I can do anything if I try." A year ago I received an invitation from the head of Counseling Services at a major university to join faculty and administrators for discussions about how to deal with the decline in resilience among students. At the first meeting, we learned that emergency calls to Counseling had more than doubled over the past five years. Students are increasingly seeking help for, and apparently having emotional crises over, problems of everyday life. Getting into an elite college has never been more cutthroat. Last year, Harvard's admissions rate dipped to a record low, with only 5.3% of applicants getting an acceptance letter. Stanford's rate was even lower at 5.05%. This study explores the role the various dimensions of GRIT play in a variety of student success factors including goal magnitude, goal completion, difficult of academic major/track, health, energy, and the degree of extracurricular obligation a student chooses to accept. Both the GRIT Gauge and the Duckworth Scale have been validated as predictors of specific facets of success. This study offers the first-ever, preliminary and exploratory side-by-side statistical comparison of these two constructs among two groups: students (S) and employees (E). Title: Could GRIT be a trend that sticks in higher-ed? A new partnership focuses on teaching students to improve their GRIT in order to help them accomplish their goals. Recently, the idea of GRIT, or Growth, Resilience, Instinct and Tenacity, is increasingly seen by educators and even the Obama Administration as a key to success in higher education. Building on the blooming popularity of GRIT in higher-ed, Pearson Education has recently partnered with PEAK Learning in order to infuse their MyCareerSuccessLab service with the means assess a student’s GRIT. How do you lead your people to bust through the crud and get more of the important stuff done, and done well, when the entire world is conspiring against that happening? Ultimately, there's only one way to get there. You have to tap into your GRIT—your capacity to dig deep and do whatever it takes to achieve your most important, long-term goals—and lead in an entirely new way. There is good news, and there is bad news. The good news: more students than ever are choosing to start college, and more than half of all undergraduate students in the United States enroll in community colleges; in fact, in Texas, 79 out of every 100 students in public higher education choose a two-year college. The bad news: only two of those 79 will complete a degree or certificate within two years. And since by 2020, 60 percent of all jobs will require at least a certificate or college degree, this bad news is particularly troubling. As a result, foundations, grant funders, and community colleges have responded to the need to get more students to graduate in a nation-wide effort labeled the Completion Agenda. The next question became this one: “How do we involve students in the Completion Agenda?” I am convinced that the answer is grit and growth mindset. Multiple quantitative and qualitative metrics agree that in just four months, students have significantly increased their GRIT. This study details the characteristics of the GRIT Lab program. High Tech High is a San Diego based charter high school that bases its curriculum around project based learning and other constructivist practices. Its 599 students admitted through a zip-code-based lottery system to maintain a student body that mirrors the ethnic and socioeconomic diversity of the local community. All High Tech High classrooms are full-inclusion meaning that students of all ability levels learn together - including high performing students and students with disabilities. Ninth grade students attend three year-long courses: Mathematics, Humanities, and Physics & Engineering. The Humanities and Physics & Engineering courses are integrated into a cohesive interdisciplinary teaching team and are the core of the ninth grade experience. My teaching team is composed of sixty two students, each half of which I see for two periods per day.